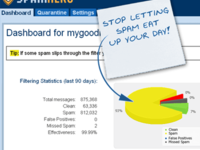 Pros: Out of all the apps we've ever worked with on WordPress, I have to say HANDS DOWN, Spam Hero has been the best. A seamless experience, user-friendly, effective and with the BEST CUSTOMER SERVICE I have ever encountered. CSR really cares and knows his product. When we were having issues with filtering, He worked with us to troubleshoot what were encountering and took the time to understand our mail server, to see how we could solve what our mailhost could not or would not. I am only sorry our site is now no longer on WordPress. If every platform ran like Spam hero, with service like CSR provides, at a price point that truly works for small businesses, I would work with them for everything! Cons: The only drawback is that we can't use it (or it will not be needed) with our new site host. Overall: CSR and his service make this beyond 5 stars. I cannot say enough. It's been a while since we had issues to troubleshoot, but it was the best experience troubleshooting tech that I may have had--ever. And my team and I really appreciate how user-friendly and functional it is. Thank you!!! For the price, this is the software to get!!! 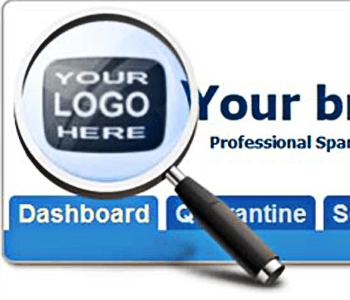 Pros: SpamHero is just amazing, the service is fast and reliable. The spam filters and controls are very powerful, the amount of spam we receive is almost zero and the way its control panel is built makes administration a breeze! All of that for very few dollars per month! Cons: The only con i have for this software is its not 100%. It does allow 1 out of every 100 get through. Pros: Top-notch 24/7 customer service. Highly configurable and flexible filtering system that includes custom filters, approved/blocked senders lists, filtering based on geographical data and so much more. Very accurate and effective with pretty low false positives. Cons: None so far. UI could be improved by allowing increase number of listed messages per page. 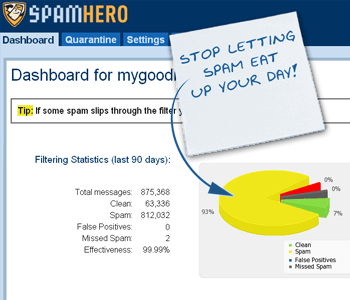 Overall: Since our company started using SpamHero service we have drastic decrease in spam email volume. Pros: Spamhero does a fantastic job going through the all the emails. I am never worried I will miss something important. Great price too! Cons: Took a while to get ahold of customer service, but they were great help. Much easier to use this and follow the old saying "an ounce of provention is worth a pound of cure"
Pros: This software is efficient, thorough, and excels at protection. 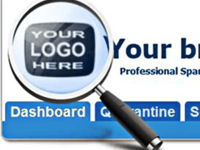 It encompasses all protective needs for your laptop from virus scans, to emails. I definitely saw the difference in performance on my laptop after installing the software. It's a decent alternative to Norton. Cons: It did take a bit for it to download on my laptop, but that also could have been because it wasn't in the best condition prior. Easy to use. It works very efficiently. Pros: For the cost it does a great job filtering most of the spam. Allows you to block certain e-mail addresses. Customer support was very fast in responding to any questions/issues. Cons: Does not work 100% of the time. You have to pay extra in order to have extra users access it. Tons of features that can get a little confusing to use. Pros: I've tried a lot of this software and this one is the best I've encountered so far. It works effectively and is true to its promise. Overall: No cons as of yet, I need to spend more time working on it as it is something I have started using more recently. So far, no issues. 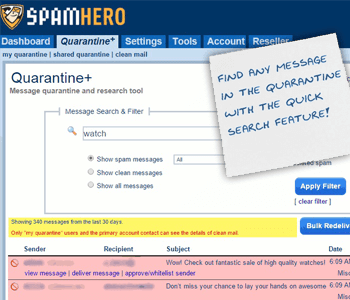 Pros: SpamHero is a great tool that helps me keep the mail box free from spam. Cons: Not that quick customer support. But overall it does a good job.